Many people dream of owning a beautiful, spacious motorhome and hitting the road to explore, adventure, and just see the world. With so many millions of miles of roads and an amazing variety of scenery, America is just the place for a dream like this. Of course, with so many options on where to go and what to see, it can be overwhelming to think about just where your itinerary should begin. All you really know is where you are right now, but from that point forward, it’s entirely up to you. Where do you start? You’ve found a great RV. The clothes are packed. The kids are excited and the key is in the ignition. You’ve got decisions to make! While there’s no way we could tell you every great place to go in your RV, we can help you frame it up just a little bit by giving you some ideas of what to take into consideration when you crack open that atlas or fire up the navigation system. This doesn’t mean tourist traps and it doesn’t even really mean specific locations. We’re talking about the big picture here, like states or regions of states. These areas are accustomed to RV travellers, and they’ve got the infrastructure to support them. Texas is a great traveler-friendly state. It has an amazing array of destinations where you can hook up and set up housekeeping, and do so affordably. Texas has a deregulated electricity market, which means consumers can choose the provider they like best. There’s lots of information out there about how it works, but the short version is that it is likely to make your campground connection cheaper than other states can offer. And that’s part of what we mean by traveler-friendly. They say that a destination is just the starting point of the next journey and if you’re spending life on the road in a motorhome, that is probably true for you. You want to plan your travels in such a way that it’s easy to use your current stop as a good starting point for the next leg. Once again, we can look at Texas. It’s huge, bordering states as varied as Louisiana and New Mexico, making it a great way to bounce to a completely different locale. But it’s not alone. States like North Carolina and Georgia run from mountainous to coastal plains to beaches. California has tremendous variety in terrain and weather, with world-famous sites in between. Any of the Great Lakes states can let you skip around from Erie to Michigan to Huron, seeing a lot of variety along the way. Vacation and travel don’t need to be predictable, so don’t get the wrong idea. But particularly when you’re travelling in an RV, there are some things that you need to know will hold true on your trip. Weather is big. Some states have volatile winters. It can be calm one day in western New York only to see the next day bring a massive lake-effect snow. Any area that’s prone to wildfires should be avoided during those seasons, and we should, of course, steer clear of the coast during hurricane seasons. 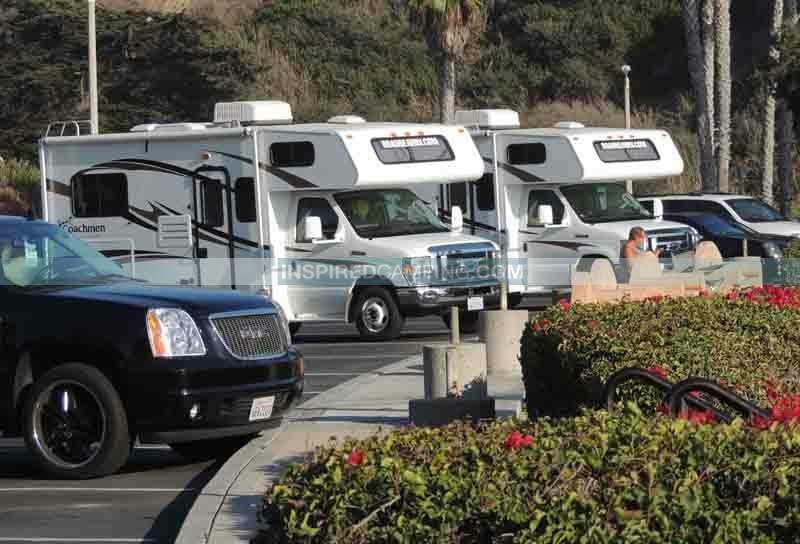 Any of these events could prove very dangerous to your family and very damaging to your RV. But don’t give up on visiting these areas; it’s worth noting that a lot of these problems are seasonal, so there’s no reason to avoid these areas year-round. You just want to steer clear of their troubled times and enjoy their clear times. Travelling in a motorhome is a great experience. You avoid the hassles of hotels and restaurants, and your time on the road is far more comfortable thanks to the extra space and creature comforts that the vehicle provides. Once you’re ready to plan a trip, you’ll make the best of it by choosing the right destinations.